Fun fact: Monochromatic doesn’t have to mean black and white. 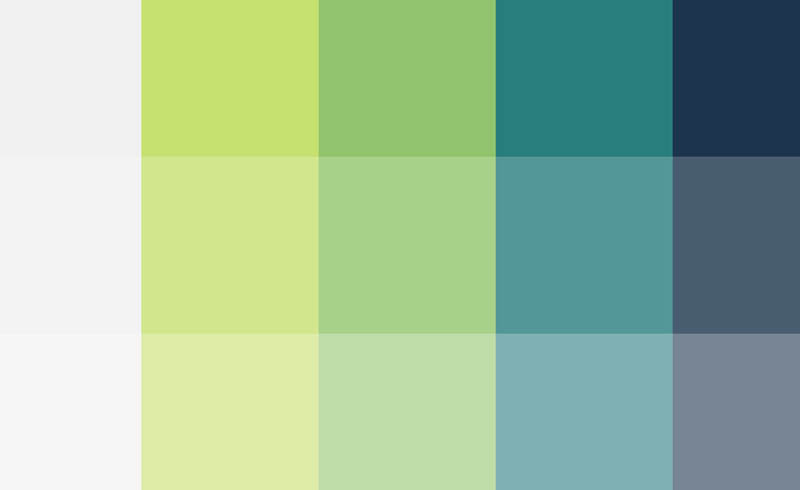 Picking a monochromatic color palette means committing to a single color, sure, but true color aficionados won’t shy away from that challenge. Use these monochromatic color schemes as inspiration for creating a single-hued space that feels personalized—just be sure to try before you buy. Go bold and dramatic with deep shades of blue, which help establish a feeling of serenity. Pair two darker tones for a striking look, or balance it out with pops of a lighter (but still cool) shade for a little more playfulness. In smaller spaces, use the darker colors sparingly, to keep the room from feeling too dark. 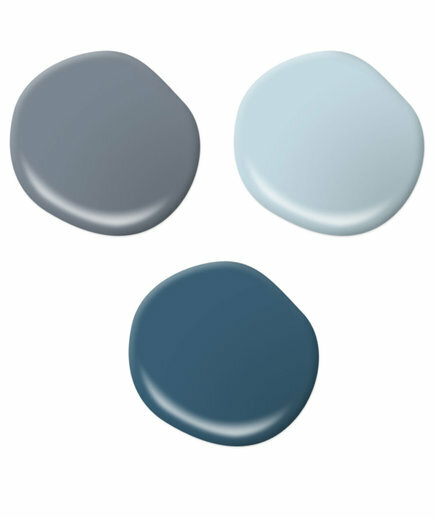 Get the look: Forever Denim (top left), Rain Dance (top right), and Superior Blue (bottom) by Behr. Pink is for everyone—and this monochromatic color palette proves it. A bright, can’t-miss-it pop of a purple-toned pink serves as the focal point, with softer, more subtly pink shades filling in the rest of the space. 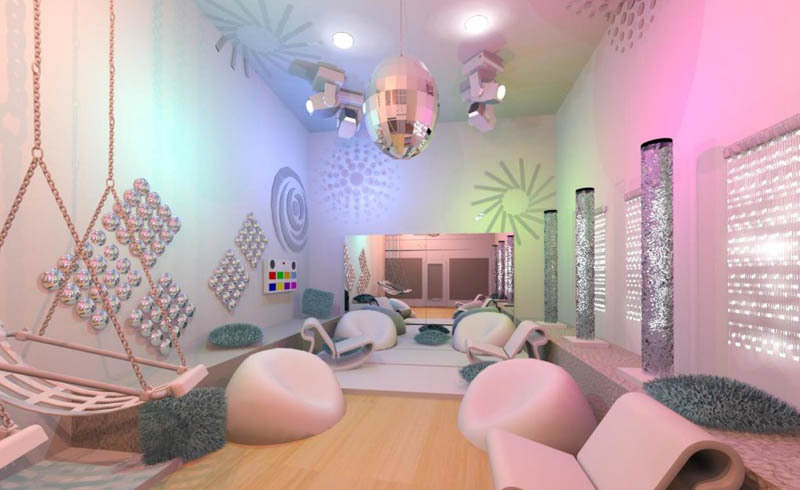 Try the boldest color in small doses on throw pillows, an accent wall, or window frames and counter it with the near-white pinks on walls, the ceiling, and trim. 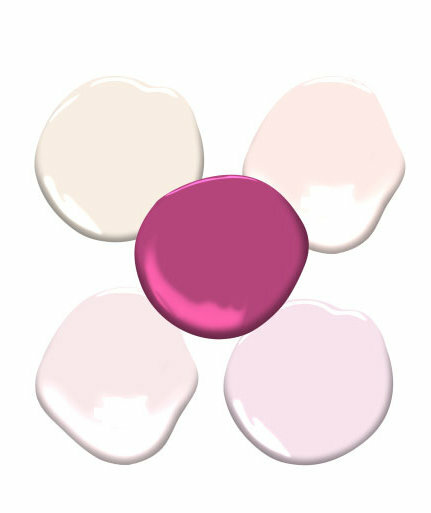 Get the look: Fondant (top left), Light Quartz (top right), Flush Pink (bottom left), Nursery Pink (bottom right), and Crushed Berries (center) by Benjamin Moore. Shades of yellow can help brighten spaces and even make their inhabitants happier. Balance the bright notes of a classic yellow with more subtle hues with yellow undertones on trim, the ceiling, or accent areas (think a fireplace mantle or built-ins) to keep it from feeling overwhelming. The monochrome look here is subtle, and just enough to give a space a cohesive feel. 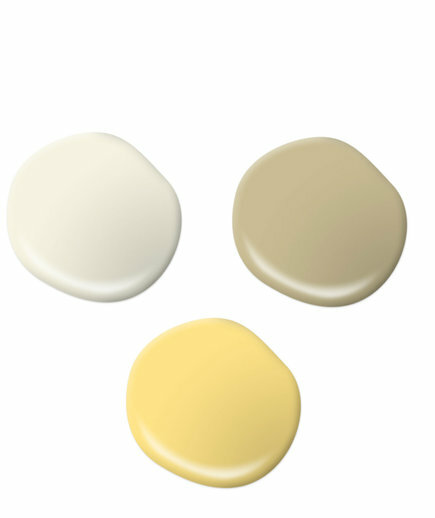 Get the look: Tibetan Jasmine (top left), Morning Tea (top right), and Upbeat (bottom) by Behr. Monochromatic color palettes don’t have to be black and white—but they can be. Indulge in rich, vibrant black tones with this dramatic look, which can be easily mixed with gray and white furnishings for a truly monochromatic look or paired with pops of color for a more vibrant, modern feel. 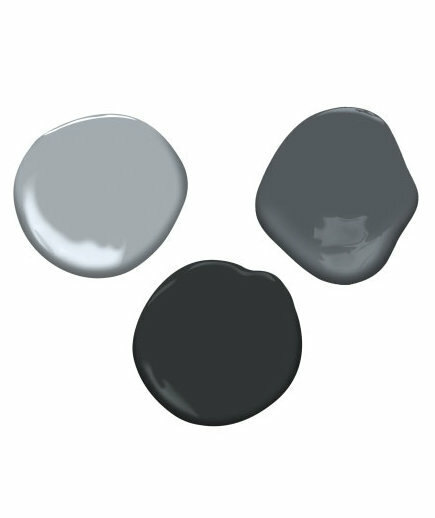 Get the look: Silver Spring (top left), Temptation (top right), and Black Satin (bottom) by Benjamin Moore. 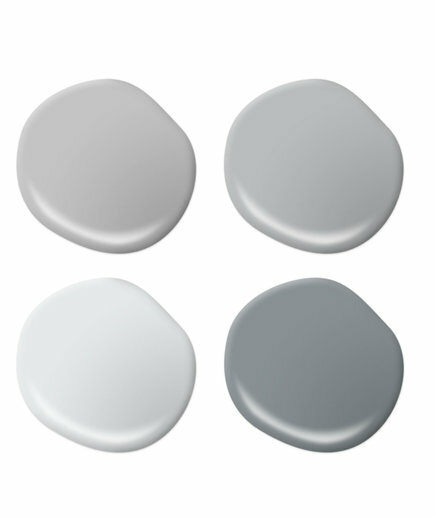 Gray is having a bit of a moment—Benjamin Moore’s Color of the Year 2019 is a stylish greige, a combo of gray and beige—and the works-with-everything shade is proving itself to be an excellent paint color for living rooms, bedrooms, bathrooms, and more. This color palette has four shades of gray that work together to create a monochromatic space that doesn’t feel boring or bland—thank the varying undertones for that. Get the look: Silver Bullet (top left), French Silver (top right), Swirling Water (bottom left), and Gotham Gray (bottom right) by Behr.